Sign up and receive Property Email Alerts of Townhouses for sale in The Reeds, Centurion. 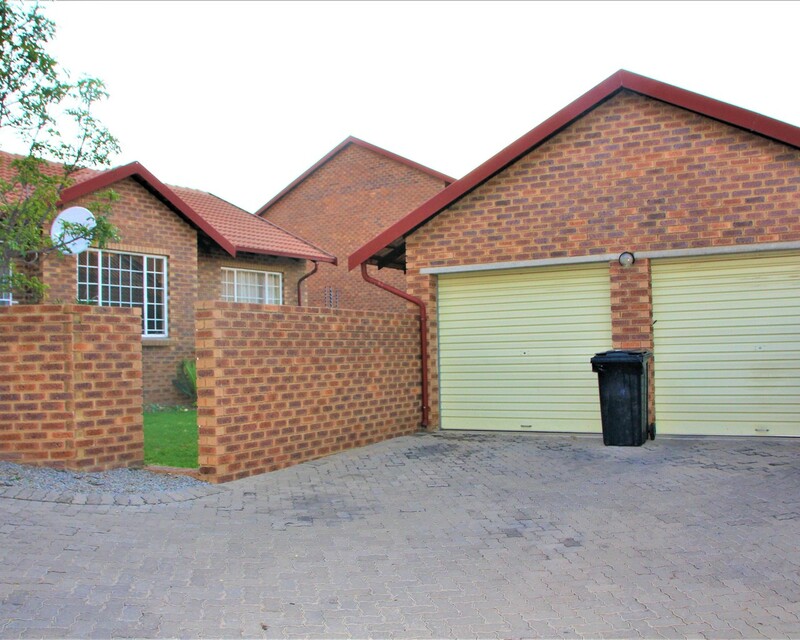 This home is 800m from Uitsig High School and 1 km away from the Primary School. There is a Pre- School around the corner from this home. The N1 highway is 3 km away. The Medi-Clinic is 1 km away in case of an emergency. The suburb shopping center is 700m away. This home is perfect if you want to upgrade from a 2 bedroom to a 3 bedroom townhouse and still have the security aspect for you or your family. The Lounge flow onto the lawn via glass and aluminium sliding door. The garage has got build-in cupboards and racks mounted against the wall. The kitchen also have got extra cupboards. There is a swimming pool in the complex to cool down after a hard day's work and in this current temperatures. Call to arrange your private viewing now as this home will GONE SOON!! Sign-up and receive Property Email Alerts of Townhouses for sale in The Reeds, Centurion.